Let me begin this post with an apology for the long gap between the previous post and this one. I cannot justify it quoting the amount of commitments I have had off late. However, I can chose to recommit and focus on my blogging, at least during those times when I am locally present and have an active internet connection. Yes, I have decided to stop scheduling the posts. So instead, the posts would reach you, as soon as I hit publish. But that is not the only change I am making hereafter. the frequency of blogging might increase a bit from here onwards. I understand the concerns of all my dear friends who have subscribed to receive these posts as emails, if you would rather prefer less content in your email, you can use your rss reader and subscribe to us there, or change your email to which these posts get delivered, whichever is a more convenient option for you. So, I had been praying about the blog constantly and asking the Lord, if I should actively pursue the same and if I should, then give me a word or vision for the blog. That’s when I heard the name, “The Word Talk” in my spirit. Hence the blog is now officially renamed to the same. Would you take a moment right now to pray for this blog? My desire is to see that this becomes a place where the word of God talks to every aspects & situations of our everyday life. I am also hoping for more responses and participation from our readers, you could prefer any medium, either emailing us or leaving a comment on the post, or sharing the posts on social media to express your support will be a great blessing and can help take the word of God to the ends of the earth. From the ministry front, we are doing good as a church. But praying for greater hunger for God, His word and His spirit within our churches. We are praying for both of our churches to grow and expand beyond all limitations. Outside of the church, I have been travelling once in a while as and when I am able to manage the time & finances for the same, and I am very excited for all that God is doing in our nation. 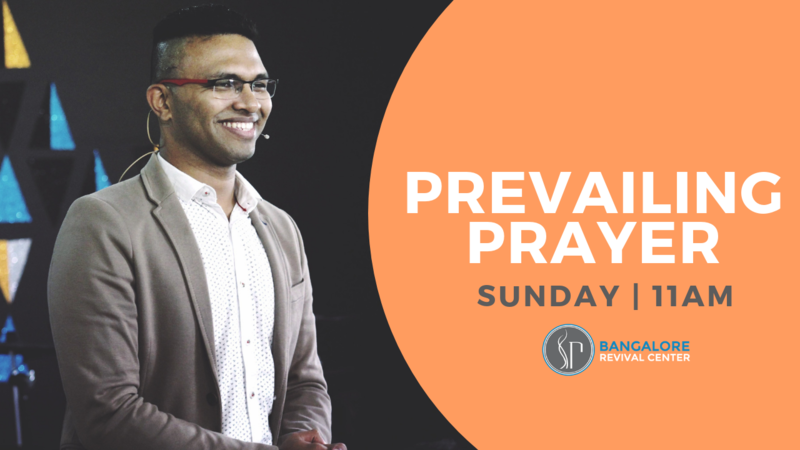 Our parent ministry, Revive Nations, under the leadership of Pastor Shyju Mathew has also been praying and preparing towards Revive Conferences, dreaming for revival in individuals to the nations of the earth. If at any point, if you are led by the Holy Spirit to support us financially, or stand with the church or the vision of Revive Nations, you can feel free to email us and we could direct you to the closest channels of you being able to do what God has put into your heart. Above all, I would seek your prayers and support for our marriage & family. We have constantly faced a lot of battles with the children, and in maintaining peace among ourselves. It would profit us nothing if we are able to gain the whole world, and yet lead unexemplary lives in the confines of our home. The greatest of grace and mercy is needed for us in these areas of our lives. Even, as you stand in praying for us, we would love to stand with you and pray for you too. If you do have a prayer need, feel free to leave it in the comments below and we take each of your responses seriously enough to spend precious prayer on it. We love you and look forward to all that God has in store for us together through The Word Talk. Go for it! Looking forward.